Anyone want a cash back on their factoring charges? A few weeks ago I gently poked fun at a factoring company for one of their press releases on revolutionizing the industry but more for the way the press release was written than for what they were trying to do but the same company have now gone one better by introducing a factoring facility which offers a cashback at the end of the first year of 10% of the fees paid which whilst being of benefit to the client won’t be liked much by many of the unethical broking community. Many factoring companies pay a percentage of the first year’s minimum annual fee paid by their clients, to the introducing broker which is why the more unethical broking outfits will try and churn the client at the end of the year so that they can earn another fee from a different factoring company. 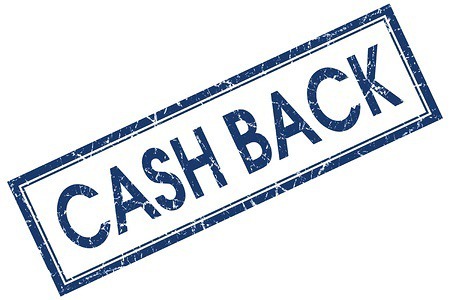 Ultimately that benefits no-one except themselves but it will be interesting to see whether the introduction of a 10% cashback of the charges paid will be enough to stop this whirlygig of clients or whether the more unethical brokers will just not introduce clients to them if they feel that they may not be able to churn them at the end of the year. It isn’t just the rebate of the charges that make this new offering of interest as the facility carries no up front fees at all and no minimum charges. Additionally they won’t be screwing their clients with BACS charges or online access fees either and the charging structure is simplified as there will just be one charge payable on sales as the interest charge has been abolished. The icing on the cake is that as well as not having any minimum fees payable the facility carries just a 28 day notice period making it very easy to exit if one so wishes without penalty. Similar facilities have been available for some while now but this one is suitable for companies who require funding up to £100,000 which probably equates to turnover levels of up to £750,000 and if anyone wants any more icing on the cake the factoring company involved is one with a very good reputation for their high service levels. Any company that feels this type of facility could be of interest, my contact details are in the right hand sidebar so feel fee to give me a call without any obligation or charge safe in the knowledge that Factoring Solutions has never, ever tried to churn a client for their own gain.